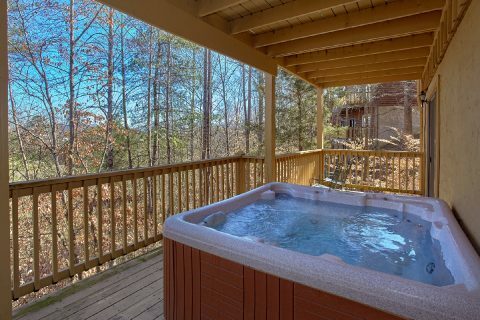 Ready for a great getaway in the Smoky Mountains? 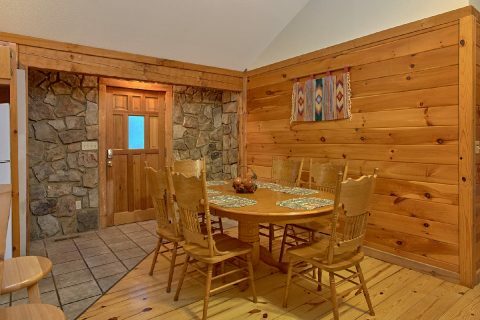 Start your vacation by booking "Mountain Crest," a beautiful 4 bedroom cabin that offers room for up to 10 guests! 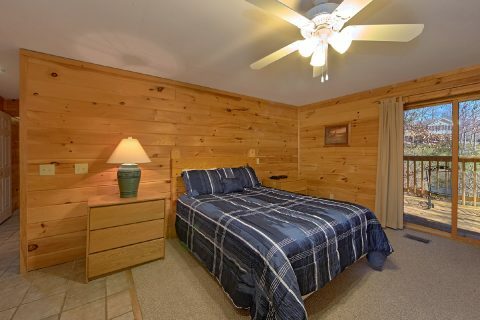 This affordable mountain cabin offers a great set of amenities to make your stay truly comfortable and relaxing. 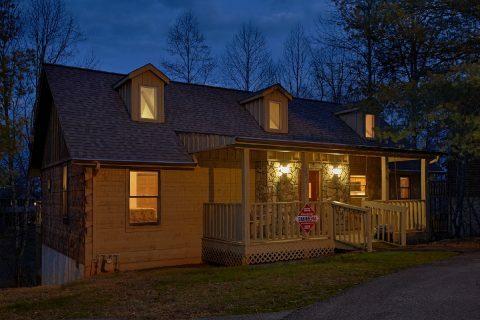 From this rental's great location only a mile from the Pigeon Forge Parkway to its peaceful setting in the Eagles Ridge Resort community, there's a lot to love about this affordable cabin that's easy on your vacation budget. 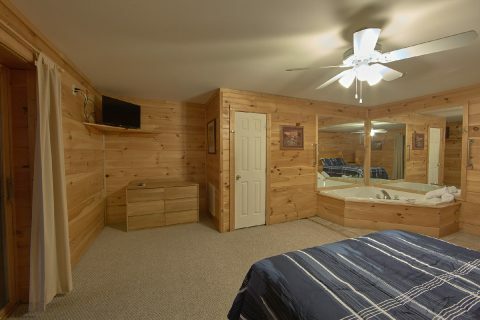 During the warm summer months, you can enjoy swimming in this cabin's resort pool. 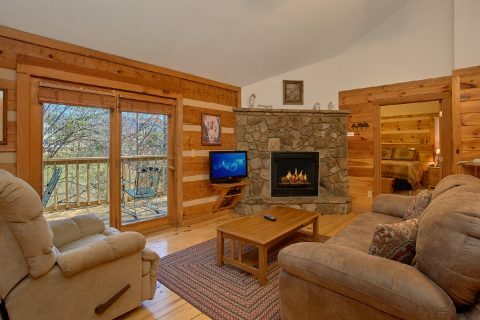 In the winter, everyone can gather in the cozy living area complete with a gas fireplace to drink some hot cocoa by the fireside. 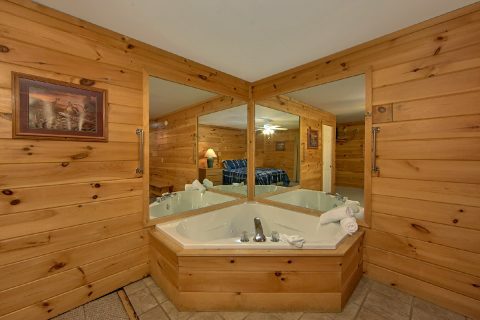 In any season, you can enjoy a relaxing dip in this cabin's outdoor hot tub. 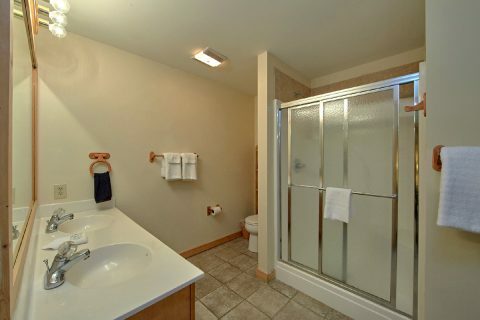 If you'd like a soothing soak in privacy, this rental also features a jacuzzi tub for letting all your cares and worries melt away in the warm water. 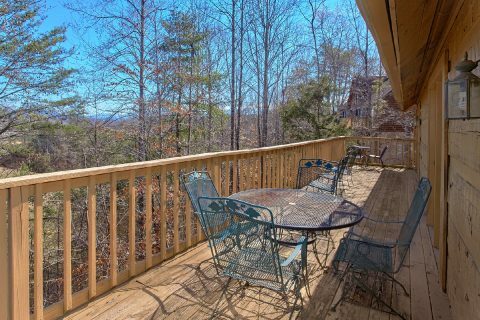 To take in your cabin's peaceful setting, you can always step outside on your rental's deck to enjoy the fresh mountain air. 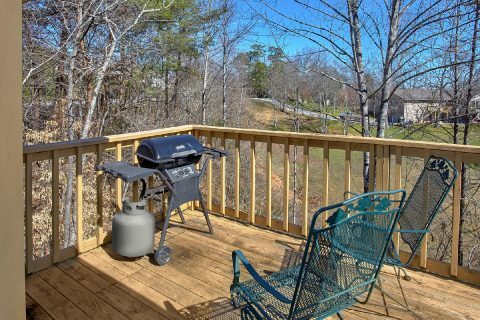 For a fun summer cookout, you can fire up the gas grill and make a delicious meal in your rental's full kitchen. 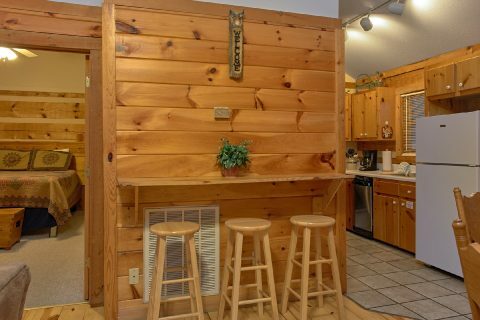 You'll have a blast playing fun arcade games on your cabin's sit-down multi-cade arcade game! 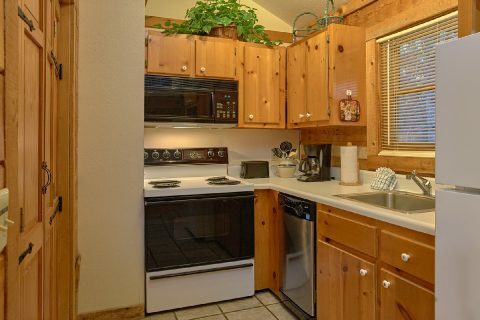 Other features included in your cabin are WiFi Internet and a washer/dryer for your convenience. 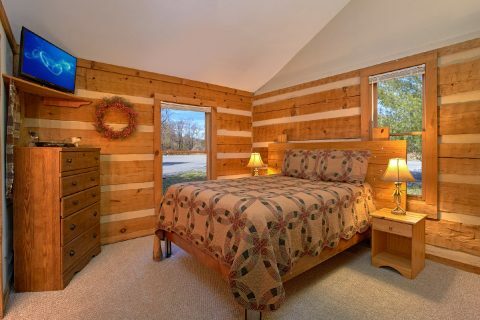 Once you're ready to get some rest before your next day of exploring the Great Smoky Mountains National Park, Downtown Pigeon Forge, or Downtown Gatlinburg, you can look forward to sleeping in one of this cabin's 4 private bedrooms. 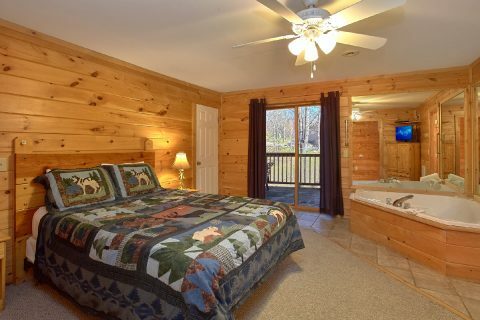 With 2 king-size beds, 2 queen-size beds, and additional sleeping space, this rental accommodates up to 10 guests in comfort. 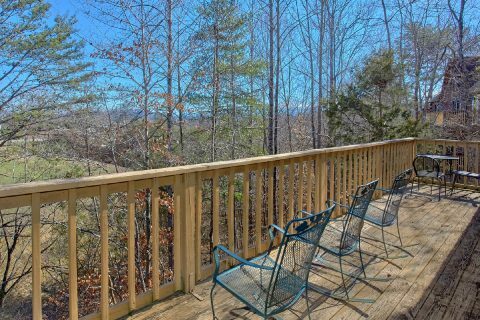 Bringing a larger group to the Smoky Mountains? 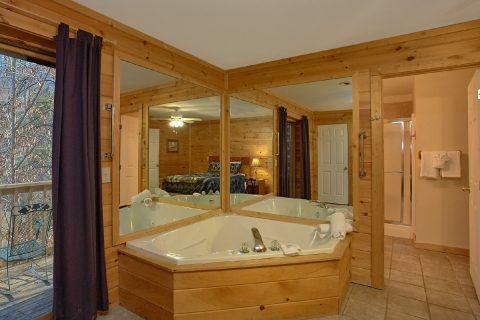 "Mountain Crest" is close to "Mountain Fever" and "Mountain Destiny," 2 more 4 bedroom cabins located in the Eagles Ridge Resort area. 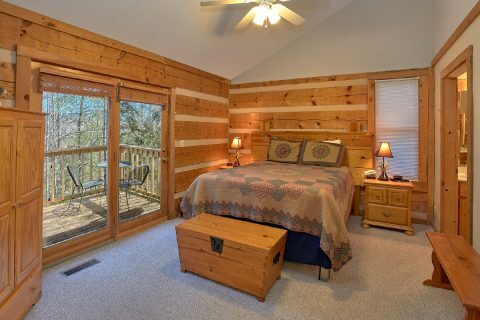 Want to save more on your affordable 4 bedroom cabin in the Smokies? 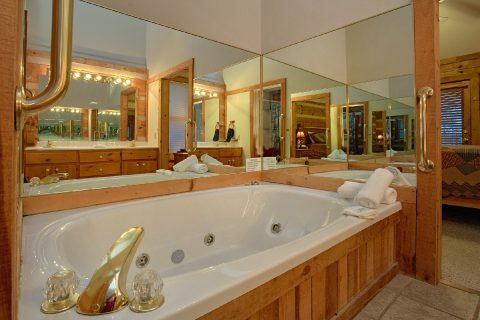 Simply book "Mountain Crest" with Cabins USA Gatlinburg today to see how much you can save on your cabin vacation in the Smoky Mountains!